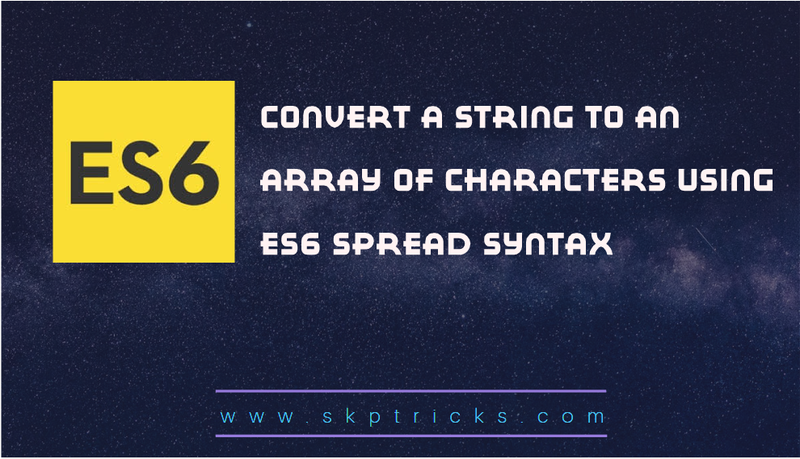 Lets see this example, where we are using spread operator to convert string to an array of characters. This is all about Convert a string to an array of characters using ES6 spread syntax. Thank you for reading this article, and if you have any problem, have a another better useful solution about this article, please write message in the comment section.